Rubber Room Ramblings: BRAND NEW ITEMS ADDED TO SALE-A-BRATION! Stampin' Up! has just added ten more items to their available SAB Products. This is great news! Who needs more FREE stuff? 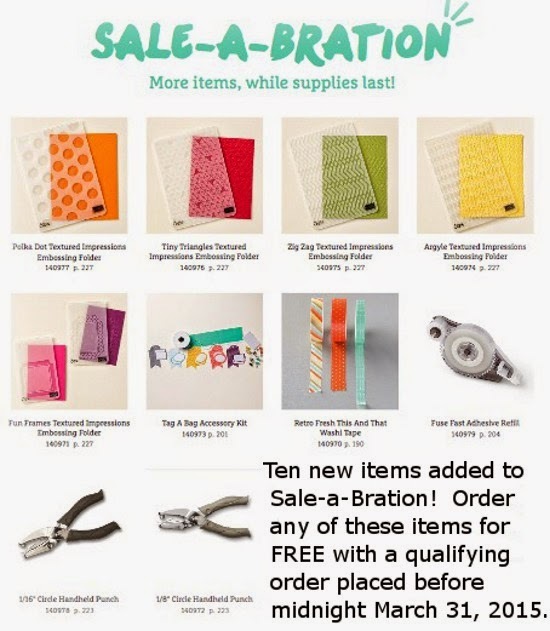 Sale-a-Bration ends on March 31st, so be sure to place your order soon and scoop up some of these great FREE items! VIEW THE FLYER UP CLOSE HERE!